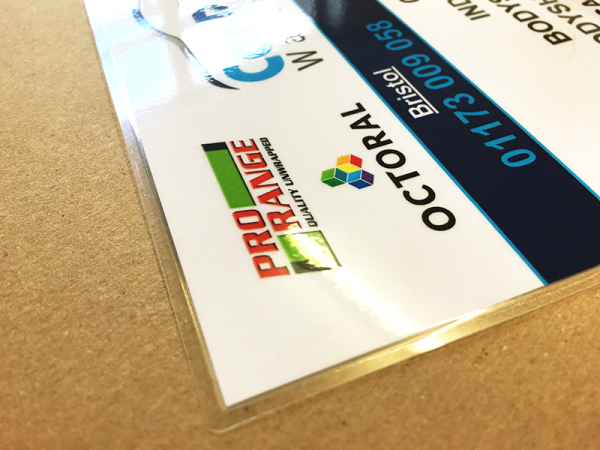 Our Laminating & Encapsulating services are second to none. Whether you need laminated business cards, menu's or postcards with a matt, gloss or soft touch finish or encapsulated posters or place mats then look no further. 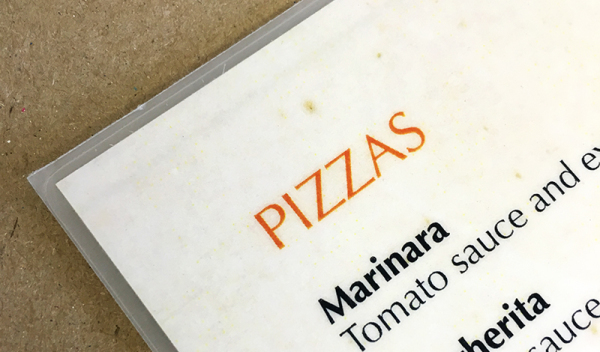 Lamination adds a high quality feel to menu's and business cards, as well as improving the lifetime and durability of the product. Gloss encapsulting flyers and menu's will make the print appear brighter and giving much more initial impact. If you are leaving posters outside for any length of time, then we would recommend encapulating them to make them even more weather resisitant.